My first taste of PROPER coffee and hearing the pressurized WHOOSH and GURGLE of a continental coffee machine was in Dino’s in the mid-sixties. Now, in those days, a coffee in Glasgow was some brownish/greyish liquid of indeterminate flavour served in a floral patterned cup and saucer, or if it was a really trendy coffee bar it would be served in a glass cup and saucer of the scratched Pyrex variety (oh, and always with the option of some scum on top if you were adventurous enough to order a Cappucino). To this day I can’t touch a Cappucino. 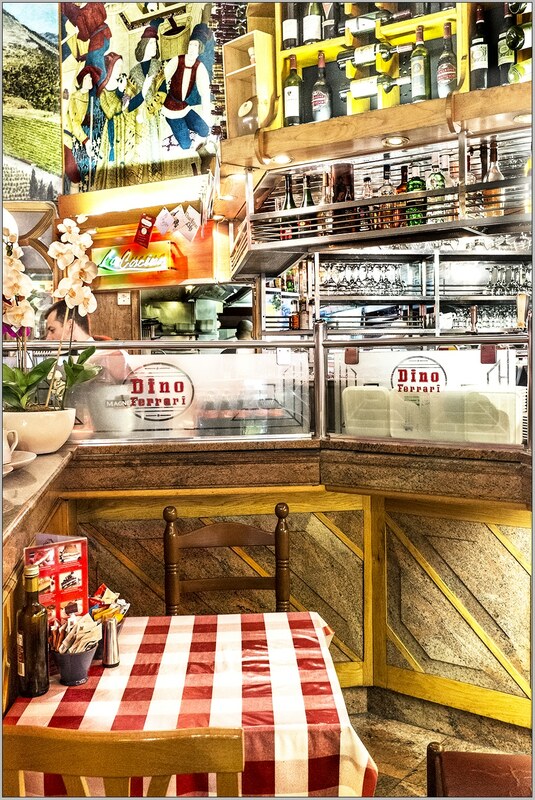 Going to Dino’s was like being abroad for a couple of hours before you got your first passport. 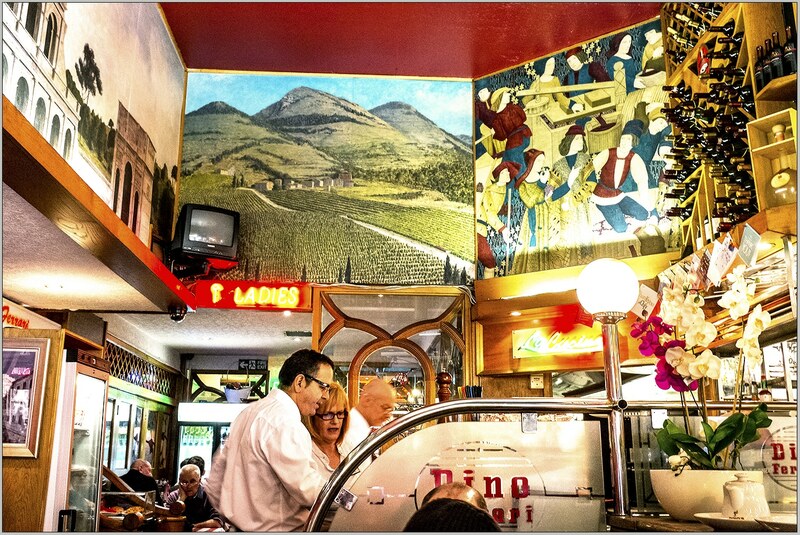 Dino’s was Italian/Swiss/Alpine murals, the banter of the waiters, the extensive menu……. 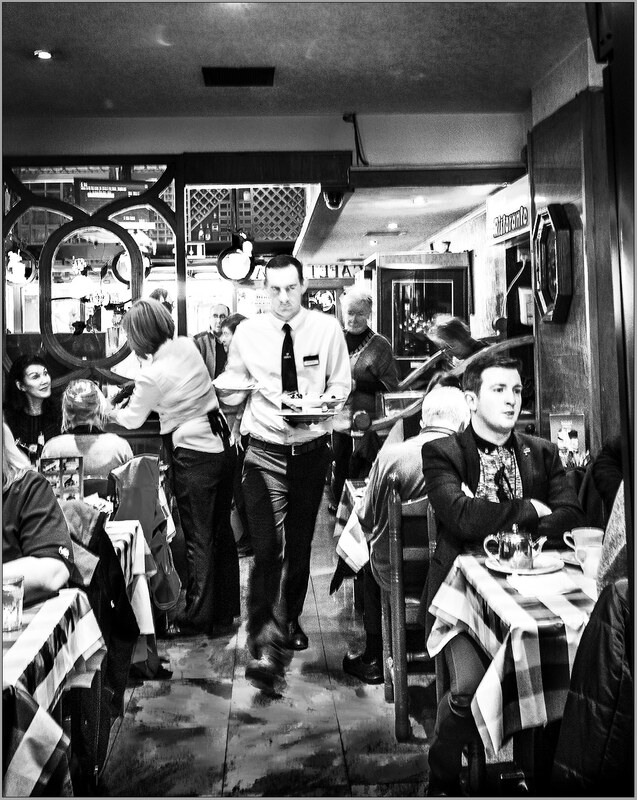 words like “al dente” and “al forno” ………veg like peppers and aubergines….garlic…..chilli oil…….calamari…. And that was just on the first visit! It was handy for elevenses, for lunch, for pre-theatre, whatever. Dino’s has always been there. Dino’s won’t be there any more. It will close on 16th march 2014. Amazing. It was a favourite place. Thanks for dropping by.